In 2002 TORCMAN introduced the TM430-Motor Series to the market and it has been sold many times without major design changes. Now it has been replaced by the NT430 Series, and the design has been optimized in the same way, as done with the NT350 Series 3 years ago. NT430-20 and NT430-30 are available in 2 Versions (L- and Z), also we still offer the stator length 20 and 30mm and 10- and 14pole Rotors. 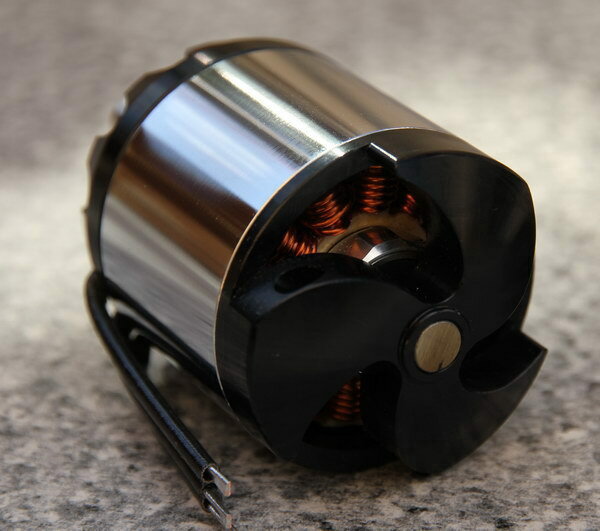 The Z-Version has an integrated Cyclone Fan and a thicker shaft (8mm). 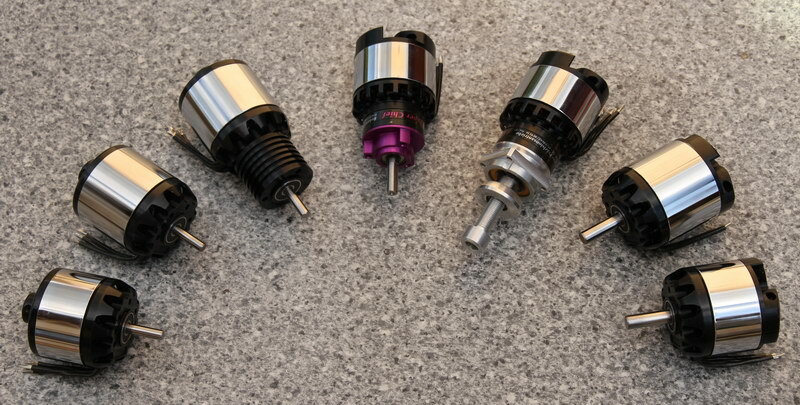 All motors can be equipped with an optional extension adapter (30mm), which allows mounting in slim fuselages. These motors can also be equipped with digital hall sensors, to allow running them with industrial controllers in special applications. A special version of the NT430 has been adopted to the Reisenauer Gears Super-Chief and Motor-Chief, to allow running with big props and upto 4000 Watts of power. See Pages "Power-Man" . Maximum Copper Filling - This is only possible with massive copper wires. After about 10 years of successful life, the TM430 Series has been optimized and adopted to the new market requirements. It is now called NT430 and will replace the TM430 from now on. With it new design, it opens the doors for additional applications and markets beside the RC Model business. Of course, we will continue to supply Spare Parts and Service for the legacy version for a long period. Larger ball bearings and a more robust frontshield provide better mechanical robustness, internal design changes and implementation of a cyclone fan (Z-Version) result in better cooling of coil and magnets.While the magnetic design has not been changed dramatically, the winding technology has now been moved from "LRK (6Z)" to "Split winding (12Z), where all stator teeth are wound. The large palette of different windings and wirings (Y and D) allows to customize the motors very precise to the customers requirements. The ability to integrate digital Hall Sensors extends the Application Range into many industrial areas. These Values are only valid for typical Model Aircraft Applications with short running times. If running in permanent mode, the maximum power depends on available cooling, rpm and electrical specs. For short time (peaks) higher power is possible, when running at higher rpm, the maximum power is also increased. 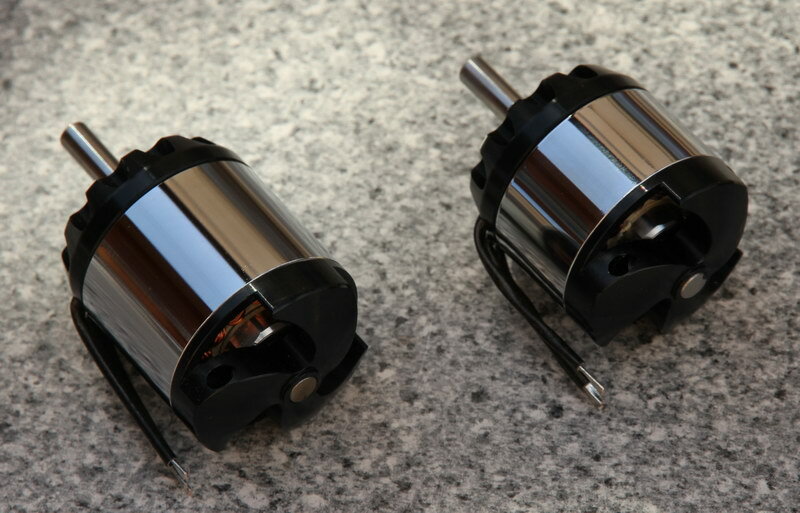 As usual, all motors are available as 10 and 14pole version. Modern Brushless Controller are able to drive the 14pole motors upto 20000rpm, the 10pole-Versions upto 30000rpm. 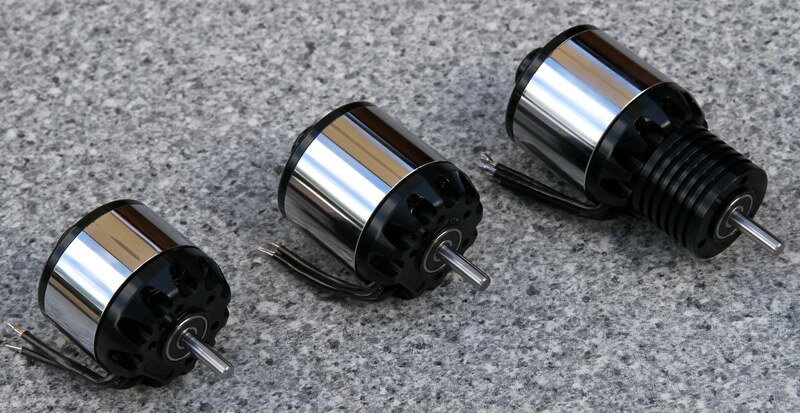 The efficient working range for the 14pole Motors starts at 4000rpm, so they are able to drive big props upto 22" without gear.For smaller props or higher rpm we recommend to go with the 10pole rotors, they are also used in the geared motors of the Power-Man Series. The front shield has a M4 Hole pattern (30mm dia) that allows mounting the motor with 2, 3 or 4 screws, an optional extension kit reduces the diameter of the mounting rib to 40mm. For selection and recommendation of an appropriate motor for your application please fill out the consulting form or directly contact us by Email.